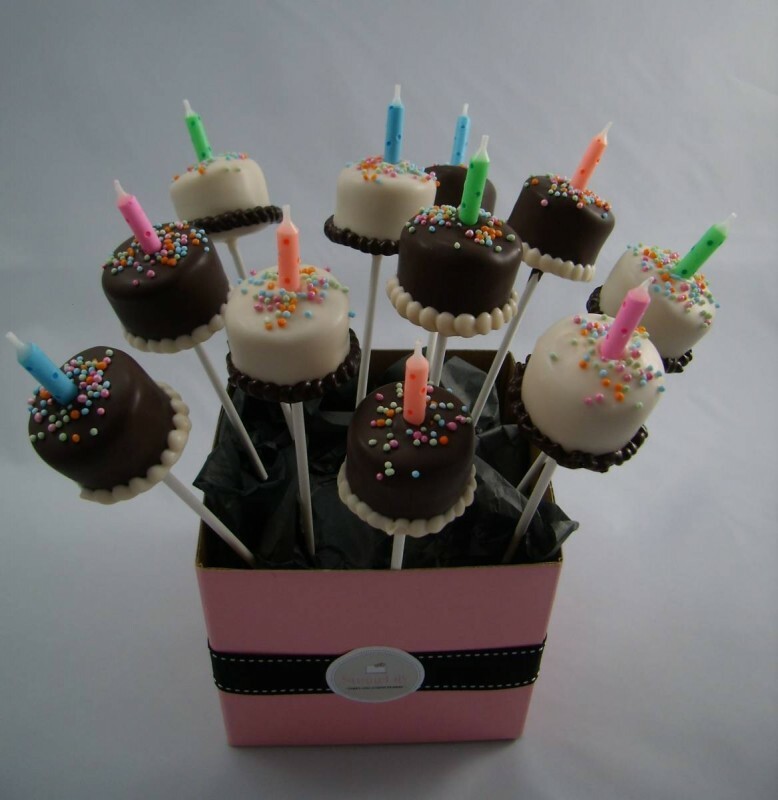 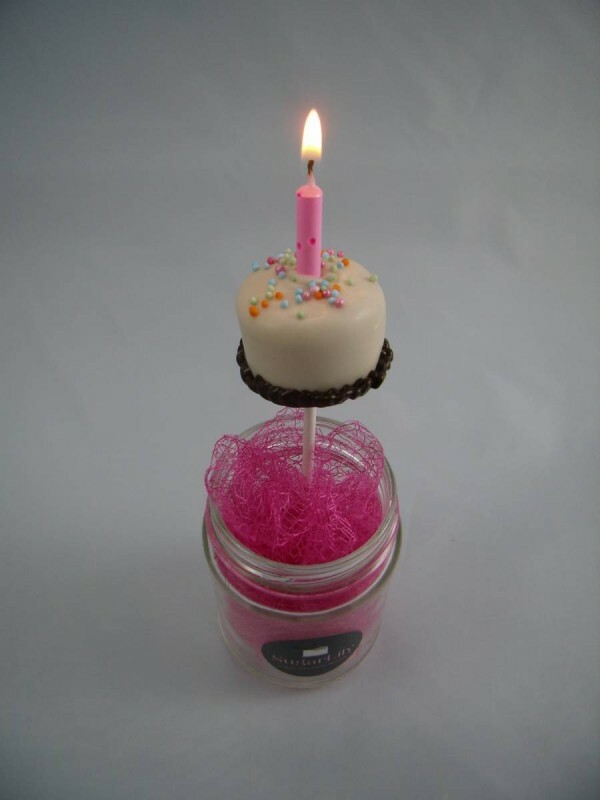 Deliciously dense bites of caramel cake truffle were shaped, dipped in white and dark chocolate, sprinkled and decorated then finished with a candle to create a mini birthday cake on a pop stick! 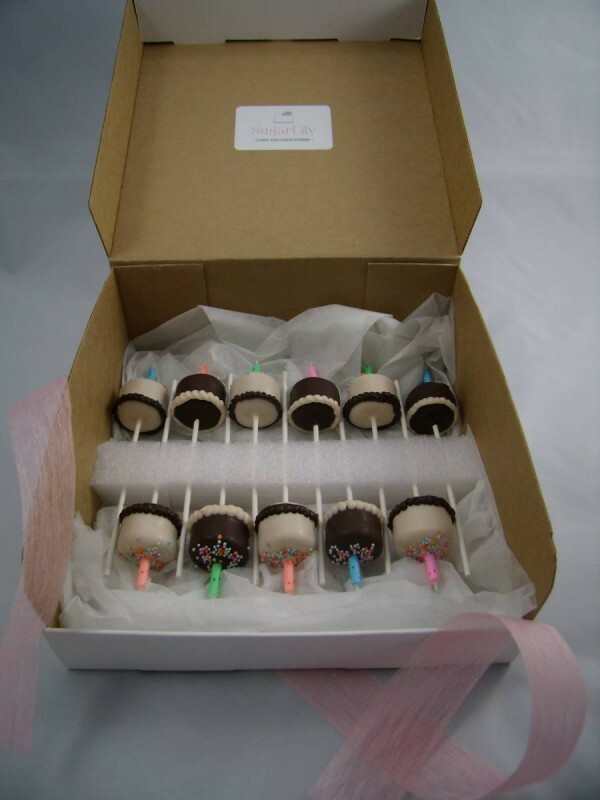 Nestled in a box and tied with a bow they make a lovely gift and sweet birthday treat for somebody special. 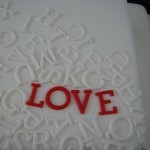 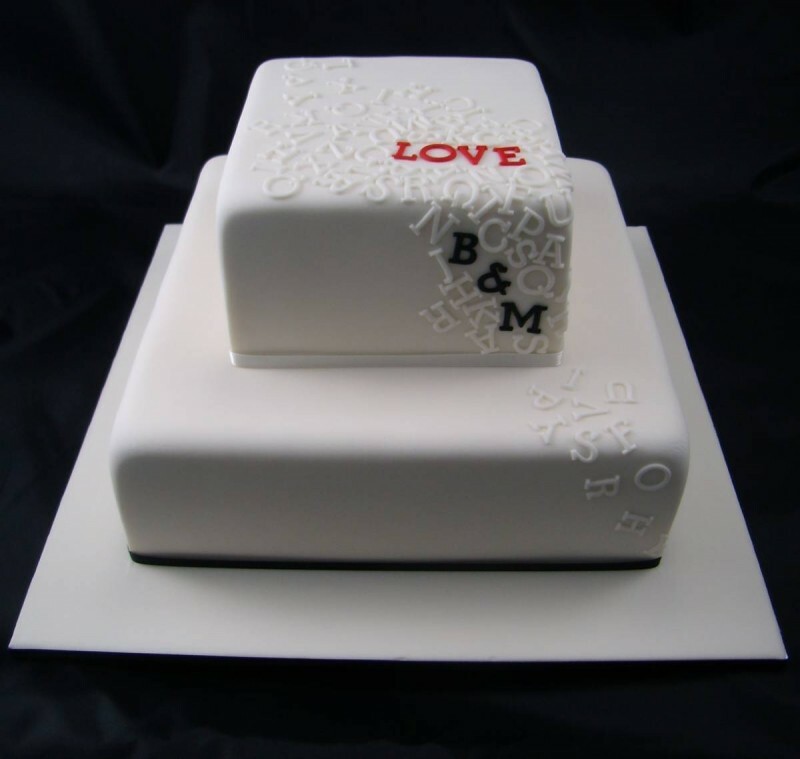 Individually cut fondant letters were scattered over this contemporary cake with the letters of LOVE and the Bride and Groom’s initials highlighted in contrasting black and red to mark the romance of the day.